DJ/producer Chris Emerson (best known as one half of What So Not, his collab project with Flume) is finally ready to give his solo career a proper launch under the moniker Emoh Instead. Just off the press is “Why Can’t You”, the lead-track from his debut EP, Say So, released 18 Oct via Sweat It Out! 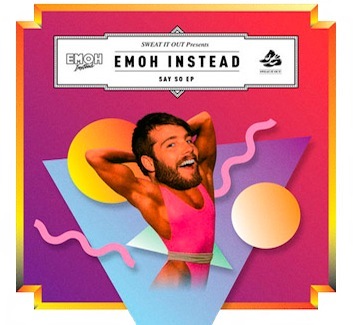 Over the past 3 years, Emoh has DJ’d across Australia, played almost every major festival and supported the likes of Diplo, Boys Noize and Deadmau5. He has how created a smooth as silk, richly orchestrated killer of a track that expertly mixes lush brass arrangements, dramatic drops and sharp dubstep beats. Expect to hear a lot more about this talented Aussie in the next few months!